Following on from the successful Play Day event, Carlow Local Sports Partnership (LSP) are now offering places for the residents of the Tullow Rd on the following activity programmes. All sessions only e2 per person. Booking is essential - places are limited and they will go fast! For 3 – 6 yr olds; Venue: Eire Og GFC Community Activity Area; 6 sessions total; Thursdays 27th July – 31st Aug; Time 10am – 11am; Bikes provided for children. For all adults; 12 sessions total: Mondays & Weds 24th July – 30th August; Venue: Supreme Fitness; Suitable for all fitness levels; beginners very welcome! 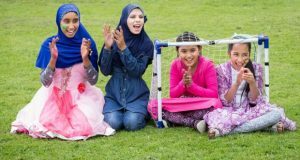 Carlow County Development Partnership supports community development throughout the county, and values this way of working as it places people and communities first in the policies and activities which impact on their lives. 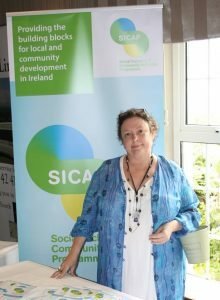 One of the aims under the SICAP Programme is help local community groups in designated parts of the county identify and respond to the developmental needs of their community. 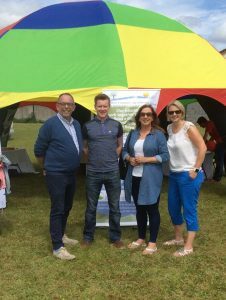 SICAP Development Worker Joanne Donohoe is working closely with the Tullow Road Community Development Group in a number of areas to strengthen the capacity of the group and identify events and activities which will benefit the whole community. 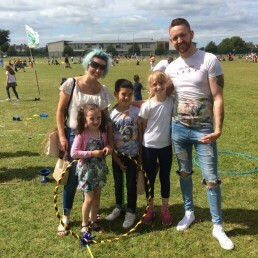 On Sunday, 16th of July, a great day was had with over 600 people turning out for the free Family Play Day. With the sun shining, children laughing and the area alive with activity it was great to see the smiles on all the faces. A big congratulations to all involved in the organising with Count Carlow Development Partnership, including County Carlow Sports Partnership, Carlow Regional Youth Services and The Tullow Road Community Development Group. It made all the work worth it to see so many people having such a good time. There are currently almost 400 registered Mens 'sheds' around the country and each week almost 10,000 men (from both north and south of the border) gather to enjoy a few hours of companionship and purpose. 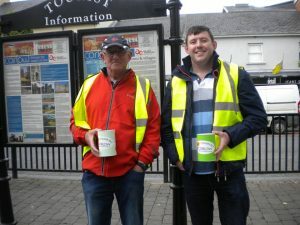 In Carlow there are a number of Sheds and Carlow County Development Partnership CLG is proud to support the work of the Sheds in Carlow town and Leighlinbridge. 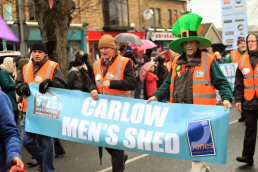 The Carlow Shed also links in with other community development and inclusion initiatives. For example, it is currently constructing a roof for the cob oven in an Gairdin Beo which was constructed with the assistance of the La Nua Special CE Scheme for persons in recovery. This Garda presence in the area is not related to any incident so please don’t be alarmed – Lets meet our local Gardai! 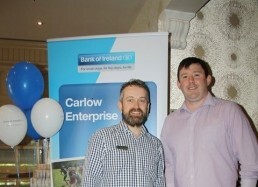 Carlow County Development Partnership were delighted to support the Bank of Ireland Enterprise Town event, which was held on Sunday 28th May in the Woodford Dolmen Hotel in Carlow. Organised by Bank of Ireland in partnership with the local community it showcased local businesses, community and sporting organizations. There were over 90 stands including ones providing information on what CCDP has to offer to communities, individuals, job seekers, young people, older persons, new communities and entrepreneurs. Carlow Older Persons Forum was chosen as this year’s charity by Bank of Ireland. Through the SICAP programme, CCDP have been working with and supporting the development and capacity of the Older Persons Forum for more than two years now and have seen it go from strength to strength. It celebrated its second birthday on 24th May this year. The Forum is an important element of the suite of supports that the company offer to older persons in Carlow town and county, including ‘Care and Repair’, which benefits almost 300 clients. 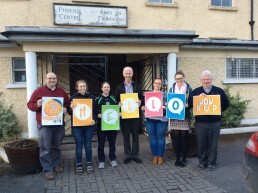 Carlow County Development Partnership are delighted to support today the Hello Carlow Day in association with Carlow Mental Health Association, and in particular to be in Rathvilly this morning meeting people supporting the campaign, be it in the Post office, the Parish Priest or teachers and pupils in the National school. The Carlow Older Persons Forum goes from strength to strength and is engaging in a number of initiatives this year to heighten awareness of the needs of older members of the community as they access important daily services. We are particularly happy to note the development of a key strategic partnership with the Bank of Ireland in this work this year. 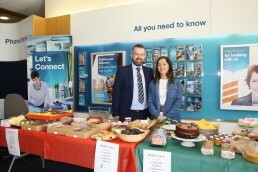 The bank branch at Shamrock Plaza organized a lovely Bake Sale on Friday May 19th, with all proceeds going to the Forum. We are happy to report that over 700 Euros was made. 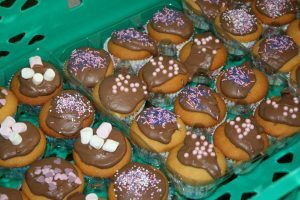 A special thanks goes out to all who baked the wonderful array of treats including members of our own Carlow County Development Partnership staff, and to Derek the Bank Manager who facilitated the whole event. CCDP works with individuals and community who aim to improve the lives of their community or their group. Older persons have a significant contribution to make their the Carlow community and the Older Persons Forum aims to make their voice heard by service providers and organizations. Community Development: Promoting Wellness. 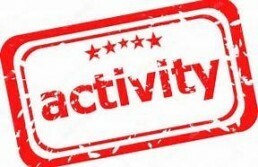 Rathvilly How Are You? 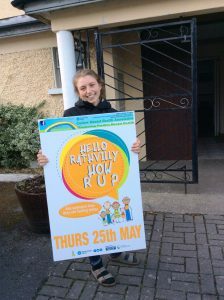 On May 25th the town of Rathvilly is taking time to check in with neighbours and friends to see how they are, on a day entitled "Hello Rathvilly How R U?" In association with Carlow Mental Health Association and supported by Carlow County Development Partnership everyone in the town is encouraged to take time that day to ask someone how they are feeling and really listen and engage with them, offering support if needed. We are all so busy these days, that we forget to take time out to check in with the people in our lives or in our neighbourhood. Sometimes we are more focused on people far away on social media and we forget about the person who is right in front of us. This day is part of the wider Carlow How R U campaign which has run for the past number of years, encouraging ordinary people and non-experts to talk about mental health. These simple, informal supports - like asking someone how they are - can often help the most. The campaign has 5 steps - to simply say HELLO and ask the person how they are doing, to ENGAGE with the person in genuine friendliness, to LISTEN and LEARN about the person and to OFFER ongoing support. Carlow County Development Partnership is delighted to be associated with this work through the SICAP Programme. Like many rural parts of Ireland, Carlow faces mental health challenges associated with loneliness, isolation and lack of support and unfortunately these challenges can give rise to serious consequences, including suicide. Everyone can feel overwhelmed at times in their life but research shows that there is “overwhelming evidence of a strong link between socioeconomic disadvantage and suicidal behaviour”. 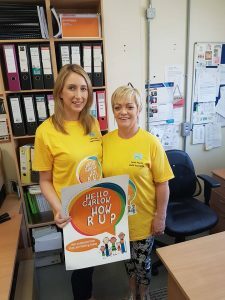 Mental health challenges can be impacted by social, economic and environmental factors, including unemployment and rural isolation,so the Carlow SICAP programme is focused on increasing awareness of this fact and on improving mental health supports in rural areas and in communities impacted by disadvantage.